Demand for tickets to this years Summer of Sonic has exceeded everyones expectations. In total, it took only 13 seconds for the event to be completely sold out, 69 tickets per second. 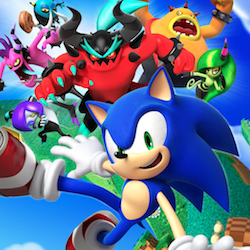 So… if you were one of those lucky people thats coming to SOS… How would you like to Play Sonic Lost world? Summer of Sonic will be one of the first public places that you can play Sonic Lost World ahead of it’s release later this year. Obviously, this will be one of the biggest attractions on the day so be prepared to wait a while before you get your chance to play Sonic’s next adventure. Next Post > Next post: Play Sonic Lost World at Sonic Boom! Has there been a finalized date, yet? …And i’m still here waiting for sonic dash for Android phones. Wait…. Is it the final version of the game or the demo?? when will the demo comes out on wiiu?